We are very much a client focussed company, always trying to improve our levels of quality, service and cost. The only way to truly measure our success is in the feedback from our clients. "We have been using think creative for a number of years to produce everything from logo's business stationery, brochures, exhibition stands and display equipment. Their ideas, designs and creative work is second to none and the quality of work and rapid turn around of projects from concept through to fruition never fails to impress. I can highly recommend think creative to any new prospective client." "VPS began working with Think Creative following a full company rebrand. We needed a design agency that could help bring our new brand to life and help us develop a lasting portfolio of literature and other materials to support this new brand. Think Creative have been fantastic at helping develop our brand identity, they have a fresh approach to design and will always go out of their way to work to our tight deadlines." "Relocom engaged Think Creative to help consolidate and establish our brand. The priority was to clean up the current logo and establish a usage policy. Think Creative then suggested some new designs of our company stationery, literature and exhibition material. The new improved collateral meant that we were able to leave our prospects with quality collateral to reinforce our message. Think Creative gave us time to develop our new look & feel and message whilst reacting quickly to our exhibition deadlines." "When we needed to update Crêchendo’s logo and corporate ID we approached three design companies for proposals. Think Creative immediately stood out as the clear front runner and they certainly lived up to their own brand name – revamping our logo in a way which was both subtle and distinctive. That was the start of an ongoing relationship; Mark and his team always deliver great results at competitive prices." "Think Creative has been invaluable to the launch of Equitix Limited. They have created strong designs and promotional promotional material to enable us to achieve the impact we had hoped for. They have always gone out of their way to provide guidance and manage our complete marketing and promotion, which included working to often very tight deadlines and impromptu demands. We would strongly recommend Think Creative to our clients and partners." "Think Creative provided us with a strong corporate identity that works well across a wide range of materials. Concepts were presented in the initial stages which gave us the flexibility to get the design just right. We are delighted with the end result. With Think Creative we can trust that our deadlines will be met, our projects will remain within budget and the turnaround will be fast." "It was useful to involve Think Creative at such an early stage; they listened to our design brief and gave objective feedback. They delivered in time and on budget with the end product being to a high standard. This gave credence to our campaign and reflected the overall professionalism of our organisation. We will be working with them again in the future." "For us working with Think Creative was just like having our own in-house creative design team. Think Creative took time to learn about us, who we are and to listen to our ideas and the goals we wanted to achieve. The result is that we have a unique identity which makes us stand out from the crowd and most importantly an identity that totally reflects us and who we are, one that was delivered on time and within budget." "Working with Think Creative has provided us with cost effective design and print solutions for a diverse range of marketing materials with fast turnaround and on-time delivery." "All my experiences with Think Creative have been great. They provide creative design in a timely manner and at a competitive price. Additionally, our marketing materials need to be translated into 5 different languages. Think Creative designs work well in any language. We trust them to do a good job and offer the best price, which makes my life easier." 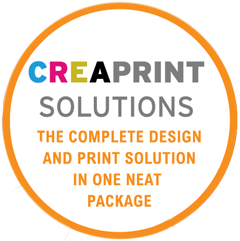 "I have used Think Creative Design and Print on many occasions and I have always found them to be excellent. They listened to my brief and provided innovative design solutions always working within my deadline; an absolute pleasure to work with." "Think Creative have been involved since the start of our business with concepts for logos, stationery, packaging, web design and collateral. We now have a brand that is easily recognisable and a product that looks professional. Thank you." "Caisson instructed Think Creative to develop a new brand identity with the Caisson foundation which is often complex development projects, such as the Severn crossing. Think Creative developed a series of brand designs for us to review and fine tune. We were delighted with the speed of delivery and the final outcome. The approach is professional, creative and personal, all the elements required to maintain long lasting business relationships. We would thoroughly recommend them." "Think Creative do exactly what they say on the tin. They think creatively about design, budget and marcoms options ensuring that all of our projects are delivered to brief, on-time and normally under budget!" "Think Creative worked closely with us as we developed the brand identity for our new sports organisation. They were extremely responsive to our needs, open to feedback and prepared to go the extra mile to achieve the quality of result that we were seeking. They were always prepared to challenge our thinking to ensure that we got the best outcome for our new business." "Think Creative have been one of our key partners for many years. They have interpreted our needs effectively and are always quick to respond to our requests, many of which are last minute. I find it hard to fault the service that Mark and his team offers."